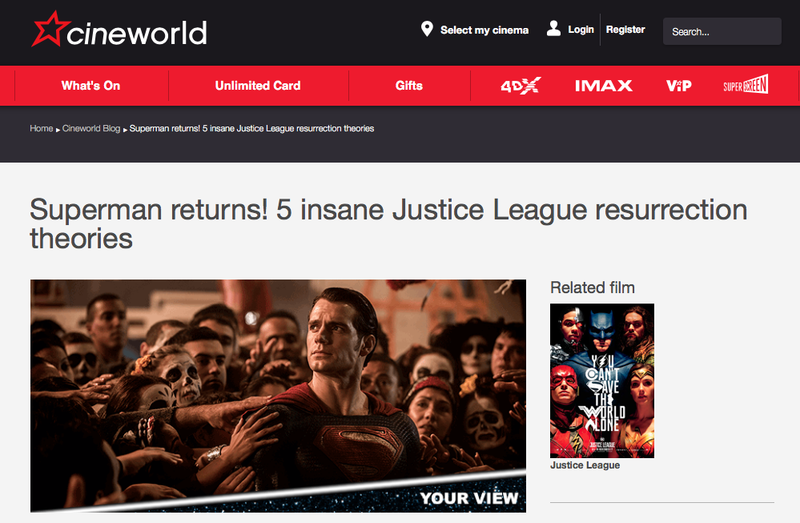 How we grew a blockbuster 5 million views on the Cineworld blog - Immediate Media Co.
Blogging is now 20 years old, and has proved to be an endlessly adaptable tool for digital content marketing. Our biggest branded blog project to date, for leading cinema chain Cineworld, has been a fascinating experience with lots of learnings we’re happy to share. We’ve been working on the blog since early 2013, and in five fast-moving years we have refined the strategy several times. At the end of 2017, we hit a key milestone: 5 million page views. That level of traffic has prompted £250k in ticket purchases, and assisted in another £750k conversions, all delivered by one dedicated content producer in our team. Here’s the story. The blog began in 2013 as an exercise in SEO and brand differentiation. Cinema-goers are frequently brand-blind: they go to their local or best-equipped cinema whether it’s an Odeon, Vue or Cineworld. So Cineworld wanted to link their brand with key movie titles and prompt more frequent cinema-going among their 18-34-year-old customers (who received content through weekly e-shots). 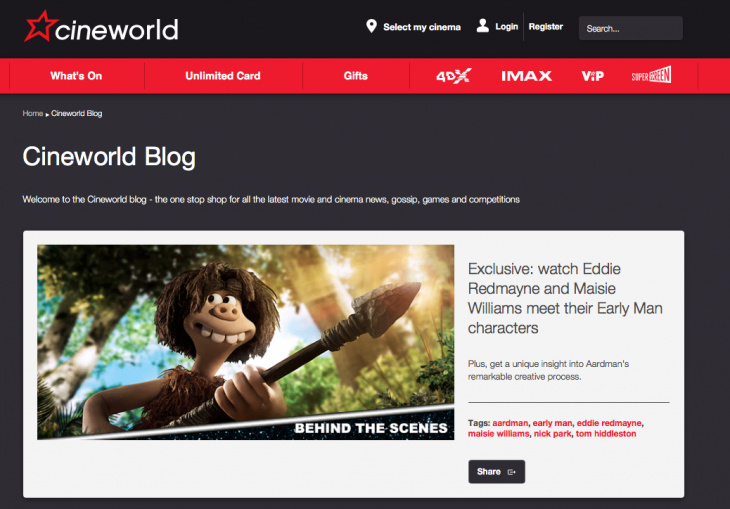 The blog was hosted on Cineworld’s existing website and revolved around several pieces of new, feature and propositional content hosted daily. It began with four pieces a day, then swelled to five and eventually six. Content on the blog is designed to achieve a range of different aims: to respond to breaking news stories (e.g. the release of The Last Jedi trailer), engage readers with feature ideas (e.g. 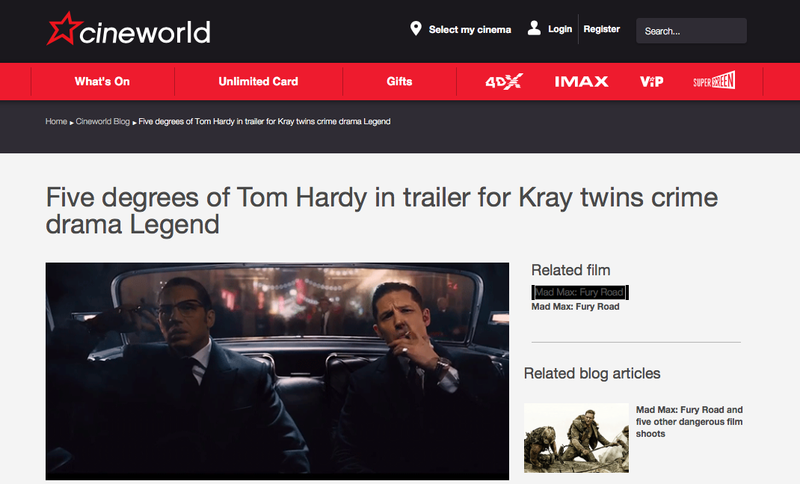 Tom Hardy’s greatest roles) and reinforce aspects of Cineworld’s branding (particularly their all-you-can-watch Unlimited proposition). Alongside this backbone of forward-planned content, we also produce more reactive posts for Cineworld’s social media audience, who demand breaking news content as and when it comes in (check out the 2018 BAFTA nominations). And we work closely with Cineworld’s SEO teams to strategically map clusters of keywords, around which we can plan content in our in-house editorial meetings. (Keyword research revealed, for example, that fan theories are one particular cluster that rank well. Our blog content takes a variety of different formats, which are then identified via branded banner imaging. (E.g. 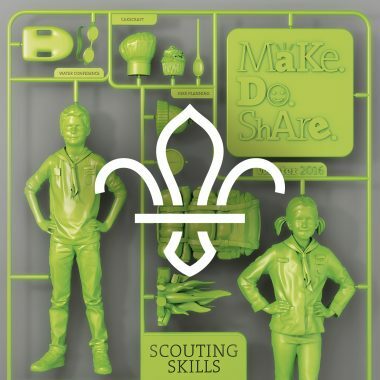 ‘news’, ‘feature’, ‘trailer’). As the audience has grown, we’ve begun to incorporate regular posts that are built around readers’ viewing patterns. For example, at the beginning and end of the week there is a greater desire for digestible news content: on Mondays we do weekend news roundups and on Friday/Saturday we leave viewers with a Shortcuts summary of our curated blog highlights. 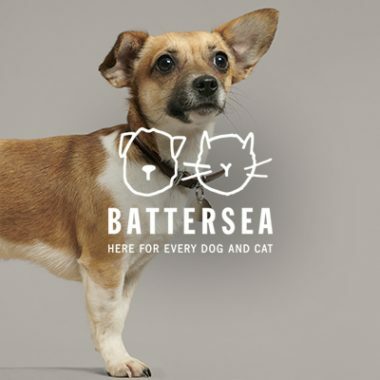 Features regularly take the form of listicles and trailer breakdowns, incorporating images, YouTube links and GIFs – although we aim to find a balance between using clickable content (which takes readers off-site) and embedded screen grabs (which keep them on it). 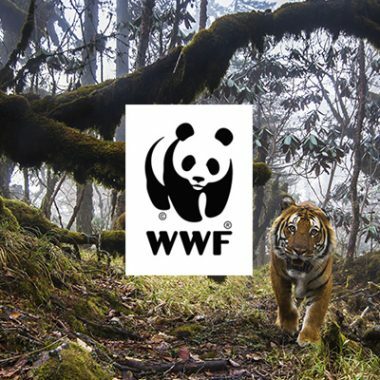 News ideas are often incorporated as short, standalone pieces but we more regularly roll three news stories into one post for the benefit of SEO and mobile usage. As the blog has evolved, mobile usage has increased exponentially, to the point where 78% of traffic is now from mobile and tablet. 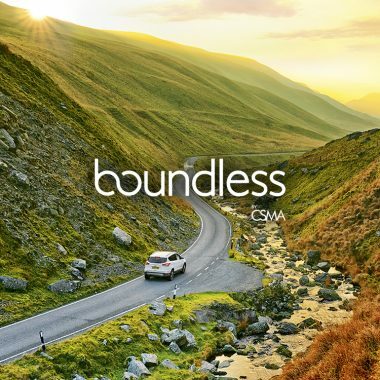 The final significant content strand comes from our commissioned writers and social influencers. 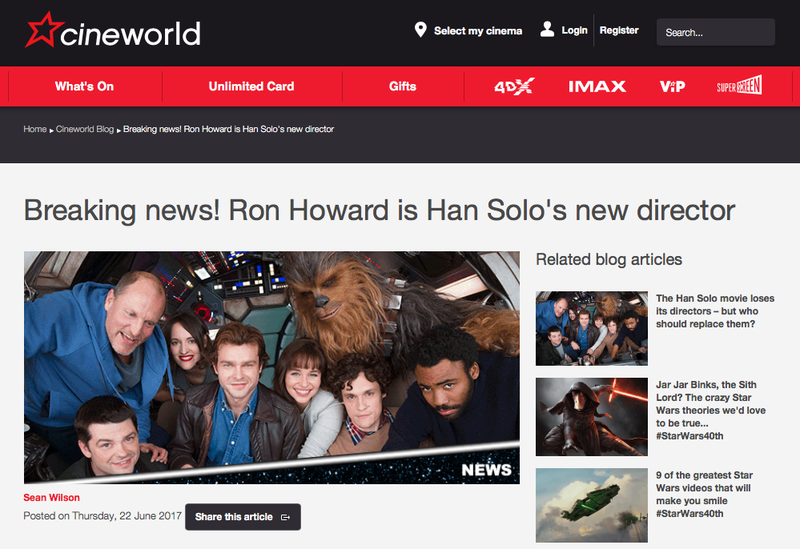 In summer 2016 we ran a competition for Cineworld readers, asking them to send in sample content with the goal of writing paid content for the blog. From the initial small group of winners, this talent pool has swelled to 12 commissioned writers, each of whom send in pitches every week and are personally selected to write content. In turn they share their content on social media, boosting views and helping both retention and acquisition. Until the end of 2017 we worked closely with influencer Jack Howard who corners a significant social media audience, with several hundred thousand Twitter followers. Jack was an example of someone who spoke directly to the blog audience and we enlisted him to write one blog post every month, which he would then share on his social media channels.